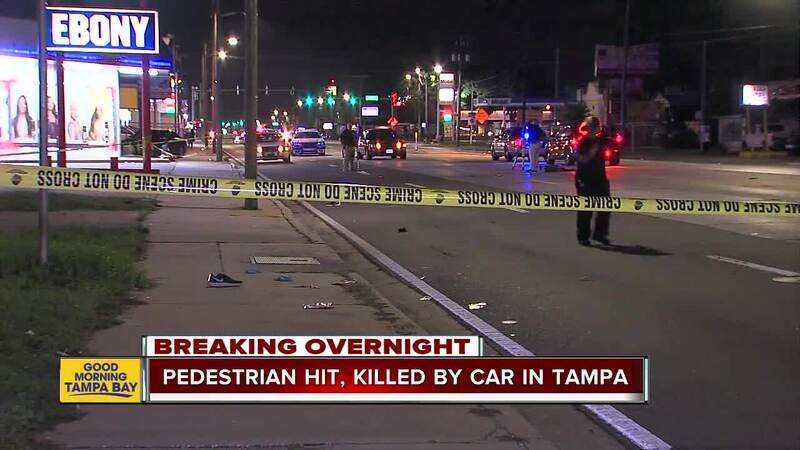 TAMPA, Fla. — A pedestrian was killed early Thursday morning after being struck by a vehicle at E. Hillsborough Avenue and N. 15th Street, according to the Tampa Police Department. Police said hit Melvin Allen, 47, was hit by a Kia Optima that was traveling westbound. Allen was transported to a nearby hospital where he died from his injuries. The driver of the Kia stayed at the scene and has not been charged. The westbound lanes of E. Hillsborough Avenue were closed from 15th Street to 13th Street for more than two hours as police investigated.